* NB. Henrik has appeared in eight episodes of CASUALTY. Hanssen : Now your staff appear to somewhat have a lax attitude towards punctuality. Hanssen : Linden Cullen, I’m aware. Hanssen is highly intellectual and enigmatic. He comes across as aloof and pretends to have an air of no feelings, to avoid showing weakness but he has a compassionate nature underneath. A focused and meticulous surgeon, he can also be controlling and manipulative to get what he wants. He is first onscreen at the beginning of Series 13, following the recent death of Linden. Connie is put out to learn they are now joint Directors of Surgery and when he humiliates her plans infront of the board, she realises she has tough competition. Michael is also not impressed that his charm doesn’t work on Hanssen, who has moved him onto AAU. Hanssen needs to make job cuts and in S13 E2, Connie tries to protect Ric from facing the chop. By S13 E6, Elliot’s job is also at risk whilst Jac tries to impress Hanssen so as she looks indispensable. In a later episode it is Connie, who decides to quit. 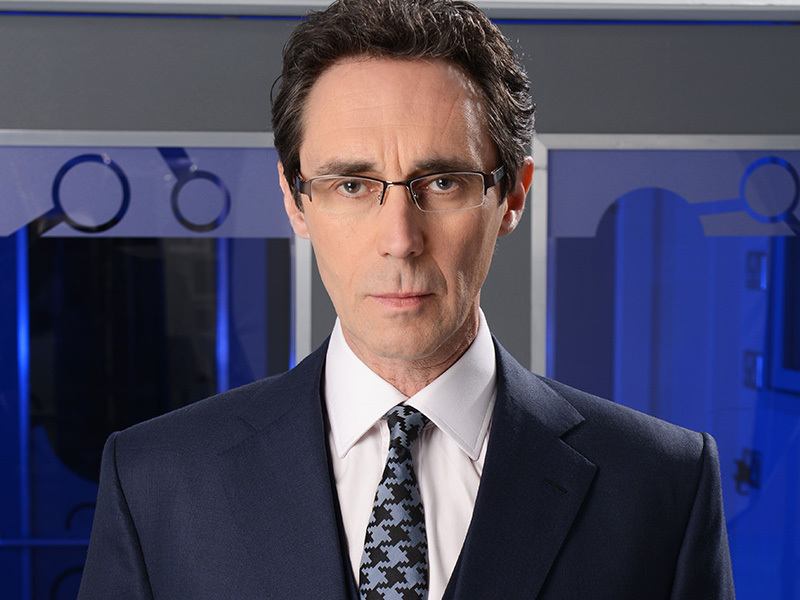 In S13 E13, Hanssen offers Joseph a promotion, but instead he decides to leave Holby to spend more time with his son. In S13 E15, Hanssen informs Mark that he still needs to lose one Consultant; either Ric or Elliot. Mark feels torn. In S13 E16, Elliot is thrown when Hanssen expects him to appear before a film crew for an NHS intranet report. Whilst also he shows faith in Chrissie, suggesting she apply for a promotion. In S13 E18, Jac is still desperate to prove to Hanssen what a good surgeon she is. However, with the arrival of Sahira – who Hanssen already knows – Jac realises she is not top dog on Darwin. In S13 E19, Sahira knows people are suspicious of her association with Hanssen and, when Hanssen asks her to report on Greg’s mixed performance in surgery, her loyalty is torn between her old boss and her new colleagues. In S13 E21, Sahira struggles with demands from Hanssen whilst having childcare issues. In S13 E22, Hanssen berates Sahira when she loses focus during an operation. In S13 E23, when Hanssen learns that Ric is dying, he offers to save his life by removing his tumour. Elliot’s efforts to keep a controversial patient’s case from Hanssen goes also goes awry. In S13 E24, Hanssen is still insistent that he can save Ric’s life and involves his daughter, Jess, to try and persuade him. In S13 E25, Jac and Sahira are up for the Consultancy post interviews, but Hanssen tells her she’s jeopardised her chances when she chooses a patient over the interview. Jac gets the job. In S13 E33, Hanssen sets out to reignite the old magic that he and Sahira once shared when she was his trainee. He attempts to get her into a crossover operation with him, despite her fears that she might not be ready. In S13 E35, Hanssen reveals to Jac that unless she finds the “magic” to save CT, it will disappear. By chance, Sahira has an idea for a mobile cardiac unit which Jac encourages her to pitch to Hanssen. In S13 e36, Oliver decides to confess to Hanssen that he is not qualified, Hanssen persuades him not to resign. In S13 E37, Hanssen pushes Sahira to get behind the Cardiac Trauma Unit in an effort to save the department. After a visit from Sir Fraser, Hanssen is forced to make some ruthless decisions about the hospital’s future. In S13 E38, Sahira is furious with Hanssen for snubbing the cardiac trauma unit before it’s even started. To prove its worth, Sahira smuggles a patient into Holby without Hanssen’s consent. 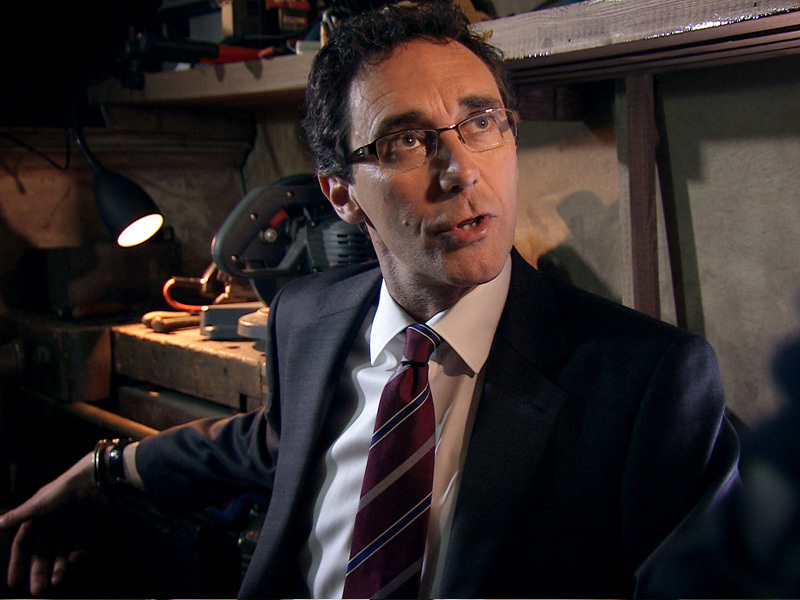 Hanssen realises how far she is willing to go to save Darwin and, in turn, how far he is willing to go to keep her at Holby. In S13 E41, Sahira is desperate to leave on time for her son’s birthday when a young boy is admitted as a trauma patient. But when Hanssen emotionally blackmails Sahira into staying, she finds it hard to keep her emotions in check. In S13 E44, Hanssen has to keep a patient’s advances at bay whilst trying to re-establish his dream-team dynamic with Sahira. In S13 E45, when Hanssen announces the fate of Darwin everyone is convinced that he has saved Sahira’s job out of favouritism. Determined to prove them wrong Sahira announces her resignation but later backtracks. In S13 E50, the Plastics scandal has hit and Hanssen is unsure of how much Michael was involved in the crisis, when Sunil goes to him first. In S13 E51, Hanssen’s dream of Foundation Status come under threat. In the last episode of the series, Hanssen tries to contain the Plastics scandal but when Sunil is brought in following an RTA, the team battle to save him but he dies. In S14 E1, Hanssen is informed by Sir Fraser that the hospital’s target of achieving Foundation Trust status is now on hold after the plastics scandal. In S14 E7, Sahira confronts Hanssen about the administration and communication chaos that exists in their department, but Hanssen refuses to engage and keeps his distance. When a complex emergency trauma case comes in, Hanssen is forced to get involved but his cautious approach clashes with the risks that Sahira needs him to take. In S14 E8, Sahira is delighted when Hanssen invites her to a conference in Stockholm but soon realises she has to pull out when it clashes with her wedding anniversary. Hanssen seems to be okay with the change of plan but when a young patient Amy Reynolds is admitted with an intriguing case, Hanssen uses it as an opportunity to draw Sahira back in. 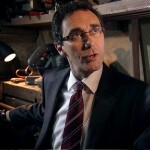 In S14 E14, Hanssen has achieved his goal of getting Holby to Foundation Trust Status – but when confronted by Ric as to what the next grand plan is, he realises he doesn’t have one. Hanssen is forced to think quickly before he is exposed. In S14 E16, Hanssen learns of Sahira’s desire to leave and does all he can to change her mind – Greg also asks him to pull out the stops. 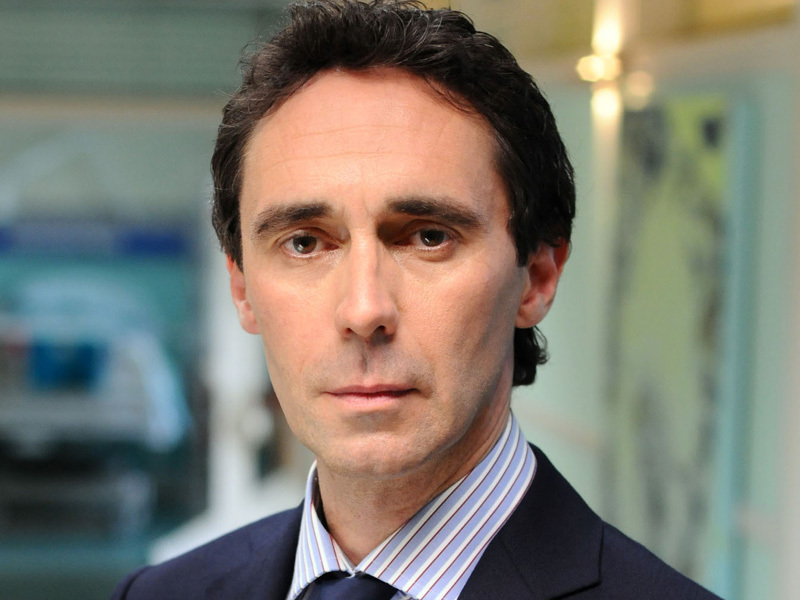 In S14 E19, Hanssen has employed Sahira’s husband as an anaesthetist on Holby to thwart her leaving. In S14 E20, Hanssen has meetings all day with the University Vice-Chancellor and the Board. 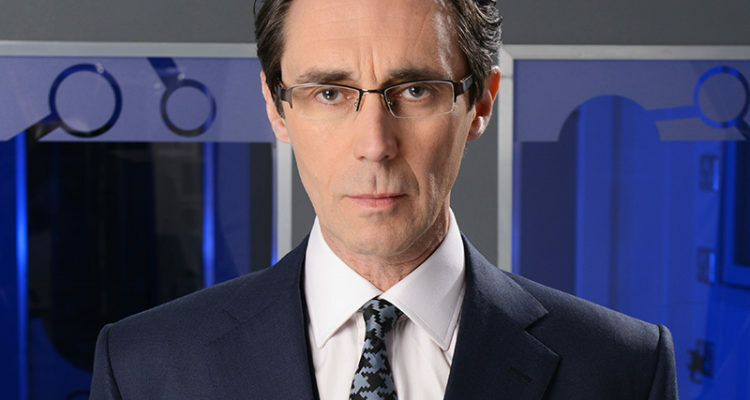 When he and the Vice-Chancellor disagree over whether Dan or Malick should be considered for the position of clinical skills teacher Hanssen realises he might not be completely in control of Holby’s future. In S14 E22, Malick cannot believe his luck when Hanssen offers him the opportunity to become Holby’s Clinical Skills Teacher. However when Hanssen then asks Malick to fast track a patients care in order to free up beds in Keller, Malick is conflicted. In S14 E23, Elliot resorts to desperate measures when he tries to persuade Hanssen and the board to send disused hospital equipment abroad. In S14 E24, Rafi and Sahira are trying to spend some time together, but when Hanssen manipulates Sahira into forgoing a night out with her husband for a tricky operation Rafi decides that enough is enough. Rafi goes behind Sahira’s back and questions Hanssen who tries to make out it was Greg who was more adamant that she stayed in Holby, arousing Rafi’s suspicions further. Next episode, Sahira is furious that Hanssen has taken her off CTU. In S14 E26, Sahira resigns. 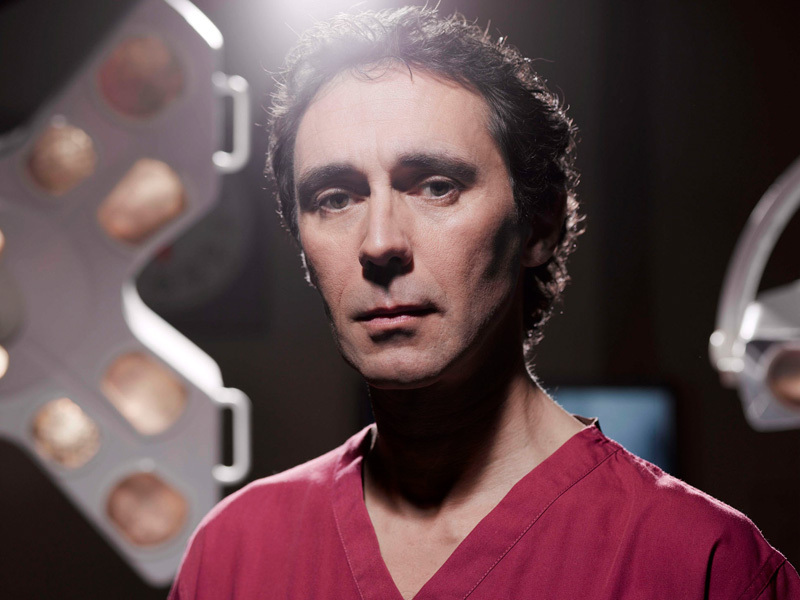 In S14 E27, it is Sahira’s last day at Holby but Hanssen is still finding it difficult to let his protégée go. As they argue over a patient’s care it is clear that things are still very much unresolved between them. For viewers, we see Hanssen loves her but refuses to show any sign of weakness instead deflecting anger towards her. She leaves on bad terms with him and he is clearly devestated inside. 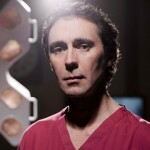 * S13 E1 – Hanssen arrives in Holby and puts Connie’s nose out of joint. * S13 E33 – Hanssen tries to reignite the magic between himself and Sahira in theatre. 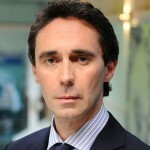 * S14 E27 – Sahira leaves Holby and we learn the extent of Hanssen’s feelings for her.